Social media is a great way for your non-profit or association to help your community network with different people from around the world. Twitter is an especially great platform for your community to connect with colleagues or those who share your passion for a cause. With these constant, real-time connections that erase the distance between people, it can seem like your followers know each other, even if they live and work across the country from one another. Collaboration, networking and sharing information can happen without sitting down at a table together. Yes, social media has made connecting with people incredibly easy, but there is still something to be said for meeting someone face-to-face. In fact, having a chance to network is one of the most common reasons people attend events or conferences. So, how can you take the community you have built online and give them a face-to-face networking opportunity at an event? Organize a tweetup. A tweetup is when people from a Twitter community (or any online community) arrange to meet in person to put a face to the Twitter handle, make new friends, build career connections and just have a good time. The great thing about the non-profit industry is that it gives you plenty of opportunities, through conferences, fundraisers, meetings, etc., to organize a tweetup for your community. Here are five tips to help you organize a successful first tweetup at your next event. Plaster the details for the tweetup on your social media platforms beforehand. Be specific about those details. 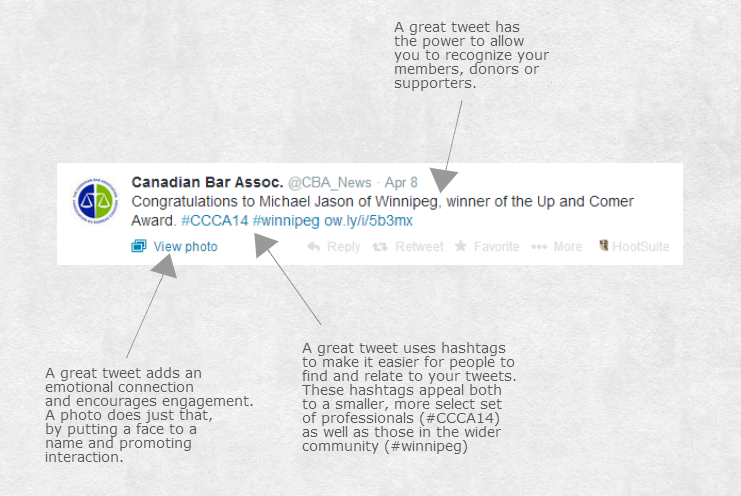 Let your online community know the where, when and even why of the tweetup. In addition to social media, put the details of the tweetup on your organization’s website, event schedule, in the pre-conference emails and even mention it as part of the general announcements at the beginning of your event. All this will ensure you get a healthy response at your tweetup. Let people know that anyone is welcome to come to the tweetup, not only those who are on social media. Encourage people to come, network and learn how to get involved in your online community. This is how your online network improves and how your non-profit community grows. That means having the details about the location where you’re going to meet and the space in the schedule you’re planning on using. Don’t arrange your tweetup at a time when people will want to do something else, like attending an education session. Plan on meeting somewhere relaxed, open, big and not very noisy, so people can talk, enjoy themselves and stay a while. Be there early so you can meet people as they get there. Know some of your more active followers’ handles, faces and interests. This helps people feel comfortable and encourages interaction between attendees. Have some topics ready to talk about to break the ice or encourage discussion if things are quiet at first. Thank people in person and on social media for coming to the tweetup. Make a list of attendee’s contact information so others can follow up on connections they made at the tweetup. Recap any interesting conversations with a blog, on Twitter or Facebook. Plan another tweetup for the future. Tweetups can be a great tool to grow your non-profit’s network and help benefit both your organization and its community. Being organized, friendly and engaging can go a long way to making a tweetup a success and raising your organization even higher. Have you had a great experience with tweetups? Let us know in the comments! We’re looking for guest bloggers to write about social media, associations, non-profits, charities, small business and other similar issues and organizations for our website! If you’re unsure about contributing, this handy dandy infographic may be able to clear it up for you. If the arrows point to “Blog for us!” give us a shout. Email us at inclinemarketingservices@gmail.com and together we can make some blogging magic! Pulling off any great plan comes in stages. Just take a look at any good heist movie and you’ll see that at least half the plot involves the ridiculously good looking, relatable main characters planning the job (including the creation of a catchy name for it, like Operation X, Y or Z) and the other half executing their plan with a slice at the end that sees them enjoying their spoils. Putting on a successful event is similar, although hopefully it doesn’t involve breaking the law or doing any of your own stunts. A great conference or fundraising event involves planning, execution and follow up. Social media can help you complete this mission and take your event to the next level. The planning stage of the mission has a few key steps. These include establishing a hashtag, getting the word (and the details) out about the event, and posting/tweeting/writing about the important elements like how to register and how sponsors can get involved. Remember to have some fun with it though. Create a video tour of the venue or trade show area and upload it to YouTube. Create a Choose-Your-Own-Adventure infographic for your blog or Pinterest to give attendees a fun way to plan their time at the event. You could even run a small Twitter or Facebook contest that promotes your event and encourages engagement, such as one that gives clues for the theme or location of your event. This is the crucial part of your mission. The action is at its peak and all the players are in motion. A truly great event happens, well, at the event. If social media has anything to say about it, the conference, fundraiser, etc., will be a huge hit. Live tweeting the event helps attendees network, learn, contribute and engage on another level, which is always a great thing. Setting up TV screens in the venue that show your live tweets can help attendees who don’t have Twitter keep track of any updates, information or fun stuff. Arranging a tweet up can also be a fun way for your community to network, collaborate and have some fun at an event. Recapping the day’s highlights on a blog during a multi-day event can also be helpful, engaging and fun for attendees. Try to get one of your attendees, volunteers, members or organizing committee to write a short post to get a different perspective on the day and the event. The chairs are stacked, the lights are out and the venue is a speck in your rear view mirror. But hold on, you’re not in the clear just yet. Even after the event is finished there is much to do on social media in order to achieve a successful follow up and ensure future events flourish. Recapping the event with a blog post, a video on YouTube and/or an album on Facebook gives your members a chance to develop their new connections and reminisce about the event while highlighting the benefits of your organization’s efforts. Creating an infographic or photo collage on Pinterest can help show your attendees how their efforts made a difference. Receiving feedback is an important part of putting together future events. Put a poll on your blog or Facebook page asking what everyone’s favourite moment was at your past event. Making the poll into a contest where participants win a trip to your next event also helps increase engagement and feedback. A great event isn’t built in a day, but with thoughtful planning, a well-executed strategy and a devoted follow up, all on social media, having a successful event can be easier and more fun for everyone involved. What are your social media secrets to a successful event? Let us know in the comments! Crafting an informative and engaging piece of writing isn’t always easy. It gets even harder when you only have 140 characters to do it. Twitter is often a medium where only the strongest survive. Understanding the make-up of a powerful tweet is important to standing out from the crowd, catching your members’ attention and providing the best content you can. 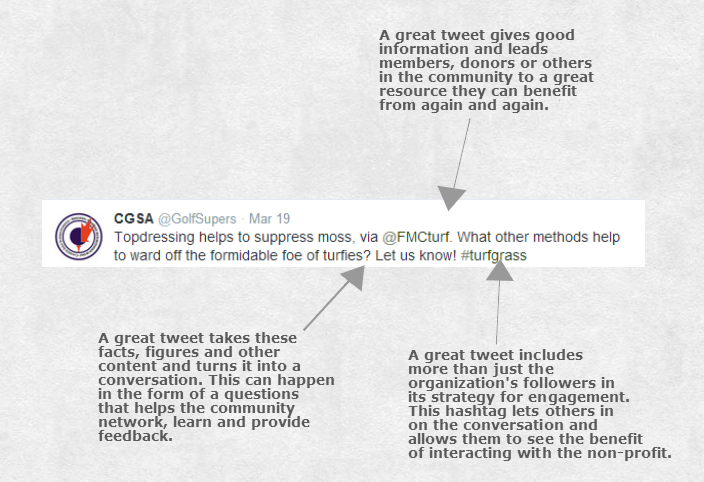 We took a look at some well-received tweets and broke down what made them successful. Great tweets are built on strong content, a desire to help improve the lives of your followers and a focus on promoting engagement. By examining those tweets that encompass these factors you can emulate them, develop a strong following and attain an even stronger return on investment. What other factors go into making a great tweet? Let us know in the comments! Last week, we gave a quick guide to determining which social media platform might be the best fit for your organization by posing a series of questions. Determining beforehand which platform will be the most beneficial for your organization is important as it takes resources and dedication to consistently follow-through on social media. With that in mind, here are four more questions every non-profit executive should be asking themselves before they decide which social media platform their organization should be active on. Determining what you want to achieve with social media is probably the most crucial part of this decision. What your finish line looks like will have a huge impact on which path you take towards it. Twitter is Perfect If: You want member/community engagement. If you want to share information and news quickly. If you want to reach out to new people. 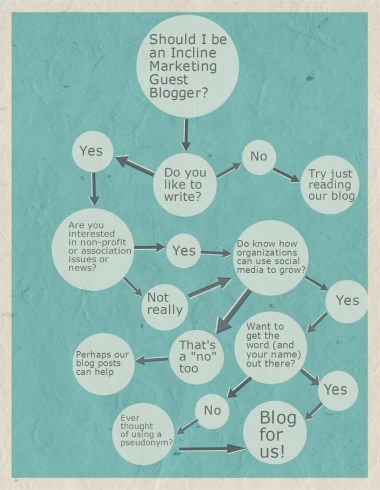 Blogging is Perfect If: You want to be considered an expert on an issue. If you want to use lots of different media or authors. If you want to tell a story or go in-depth on issues. Pinterest is Perfect If: You want to drive traffic to your website or other websites. If you want to appeal to your connections visually/emotionally. LinkedIn is Perfect If: You want to give networking opportunities to your community. If you want to help your connections grow professionally. If you want to start conversations about industry-specific issues. Facebook is Perfect If: You want to engage with members/community. If you want to share news and information. If you want to be less formal and more relatable. If you want to conduct contests. YouTube is Perfect If: You want to expose a new side of your organization. If you want to provide your community with tutorials or learning opportunities. If you want to be a visual storyteller. It’s important to know who you’re trying to reach with your social media efforts. Connecting with the right people will help you achieve your organization’s goals much faster and more efficiently. Each platform draws a unique audience and understanding these demographics is key. Twitter is Perfect If: Your audience is almost anyone. If you want to attract businesses and people of all demographics. If you want to make new connections and build on old ones. Blogging is Perfect If: Your audience is people who are already interested in your cause or industry. If you want to attract those searching for information on your area of expertise. Pinterest is Perfect If: Your audience is creative or responds to and provides visuals. If your audience are women (80% of Pinterest users are women). If your audience are members of the wider community. LinkedIn is Perfect If: Your audience is made up of professionals from the same industry. If your audience is looking to network, gain experience and connect with similar individuals. Facebook is Perfect If: Your audience is, once again, almost anyone. If you already have an established audience. If your audience knows to look for you. YouTube is Perfect If: Your audience is, for the third time, almost anyone. YouTube is used by a broad demographic and its videos can be posted to other platforms. Your organization’s identity is oftentimes tied to its cause and how its community works toward it. An organization’s identity is the key to drawing in supporters. Certain platforms showcase an organization’s identity better than others. 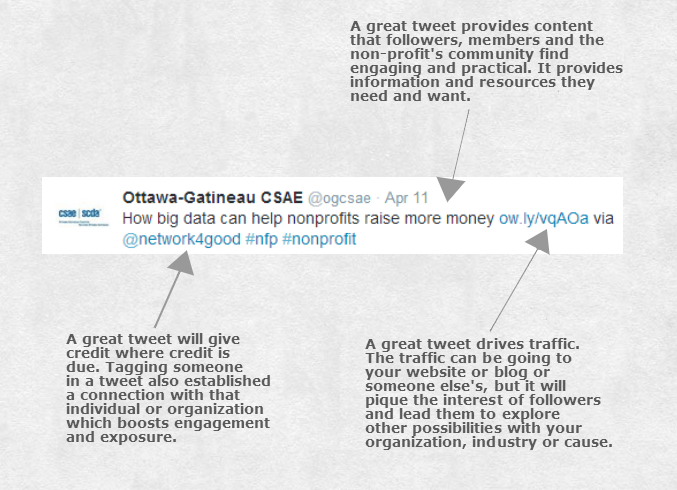 Twitter is Perfect If: Your organization helps members. If your organization sends out calls to action. If your organization wants to create awareness. Blogging is Perfect If: Your organization tells stories. If your organization works towards its cause by informing people. If your organization studies ongoing issues. 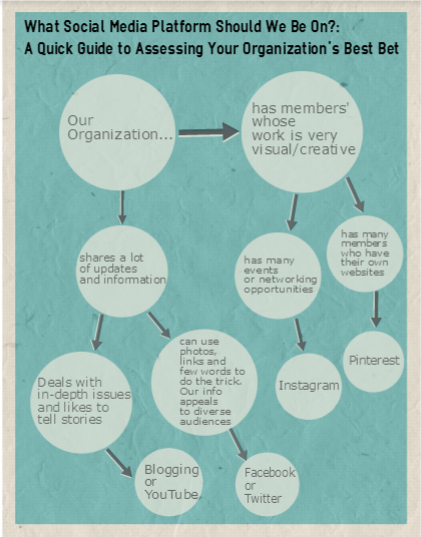 Pinterest is Perfect If: Your organization invites the community to get involved. Advocates for other businesses, individuals or organizations. If your organization evokes emotion. LinkedIn is Perfect If: Your organization helps people grow professionally or connect with educational and volunteer opportunities. If your organization advocates for an industry. Facebook is Perfect If: Your organization does almost anything. If your organization connects with many stakeholders as well as the general community. YouTube is Perfect If: Your organization engages at the grassroots level. If your organization and its community hosts or partakes in a lot of events. It’s common knowledge that non-profits have finite resources and have to use them the best way possible. All social media efforts take time, know-how and some money to be successful, but some fit into an organization’s overall strategy better than others. Twitter is Perfect If: You have the personnel and time to invest in tweeting several times daily, comb through trends, find the right content and engage with followers. Blogging is Perfect If: You have the time to invest in researching, writing, editing and promoting a consistent blog. If you have the money to invest in creating a decent looking page for your blog. Pinterest is Perfect If: You have the time to search out visuals and links for pins. If you have the time to research trends on the platform. If you have the money to invest in photo taking and image making equipment and software. LinkedIn is Perfect If: You have the time and money to write posts, check in regularly, create networking opportunities and look into paid job postings and promoted posts. Facebook is Perfect If: You have the time to invest in posting multiple engaging posts a week, follow up with engagement and contests and maintain other features such as photo albums. YouTube is Perfect If: You have the time, money and expertise to invest in equipment and planning, filming, editing and uploading a video or multiple videos. Choosing the best social media platform or platforms for your organization isn’t always easy or simple. Before you decide to embark on a Twitter journey, Pinterest quest or some other social media adventure, you must first ask yourself a number of questions about your organization’s goals, audience and brand. While this takes both time and research, we thought we’d help get the ball rolling. The following infographic is a great way to get the process started when picking an online platform for your organization. Hopefully it can get you thinking about what the various networks have to offer your organization and how it might appeal to your community of connections. Choosing the right fit for your organization takes some thinking and realizing the strengths and weaknesses of each social media platform relative to your non-profit is crucial to this process. Next week we’ll look at a few more important questions to ask yourself when starting up online. We’re looking forward to seeing you then!